What happens when you get a beauty press release and it quotes NASA? The geekiest of us get excited and immediately think of upside down pens and Tempur mattresses. In all seriousness, the amount of stuff used in everyday life that comes from NASA technology is pretty astounding: from fire resistant heat shielding to protect public buildings, to a ventricular assistive device which helps keep critically ill patients alive until a donor heart is available. So, what does NASA technology have to do with spa? It’s the inspiration behind LightStim, a handheld light emitting diode (LED) device which uses light therapy to reduce fine lines and wrinkles. Red LEDs are used to grow plants in space and give temporary relief from pain here on earth, as well as increase local blood circulation. If you’re interested in technology-led facials, you may have had a facial which exposes your skin to bright lights. Most use red or blue depending on what you want to achieve. 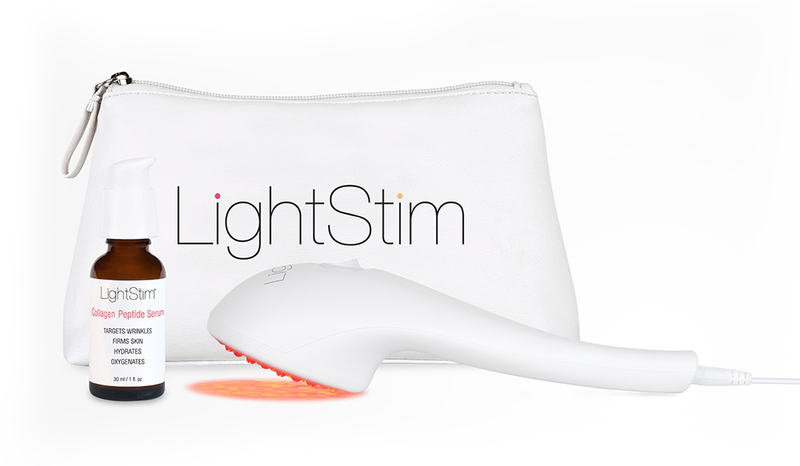 The LightStim uses the principles of LED lights, but in a manageable treatment used at a spa or at home. The device has been approved by the American FDA (Food and Drug Administration, a bit like our Medicines and Healthcare Products Regulatory Agency). The clinical trial was small in scale but found a “significant improvement in the skin of 100% of participants”. So far, so good. The LightStim instructions say to hold the light gently against the area of skin you want to treat for three minutes, every night for eight weeks. The device beeps every three minutes so you know when your time is up. The light is bright, but not so much that you need to cover or close your eyes. The diodes can get a little warm, but pleasantly so. At the end of eight weeks, was it worth it? Well, yes. 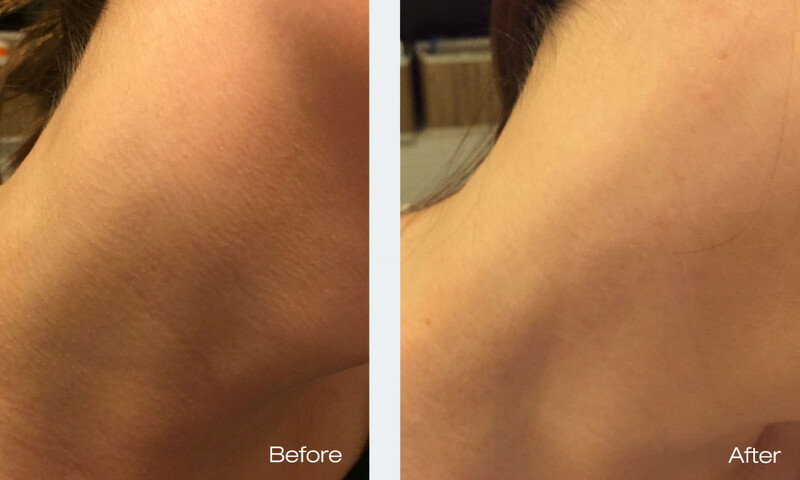 There were real results; the fine lines around my eyes and on my neck were diminished. You can judge for yourself below. LightStim is quite a commitment. Depending on how many areas of your skin you’re treating, you could be attached to a plug socket for quite a while (I did five patches for a total of 15 minutes). It isn’t wireless, so you do have to patiently sit still. I worked it into my night time routine which gives me the time to calm down after a busy day. The red light was quite soothing and the treatment fitted in while I read a few pages of my book. 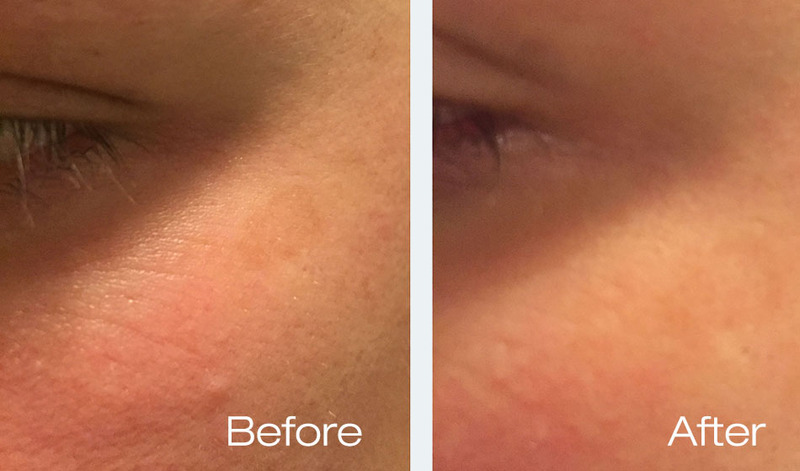 LightStim is an investment of your time and money, but if you’re the kind of person who takes pleasure and pride in looking after your skin, this gadget could be the next step up.